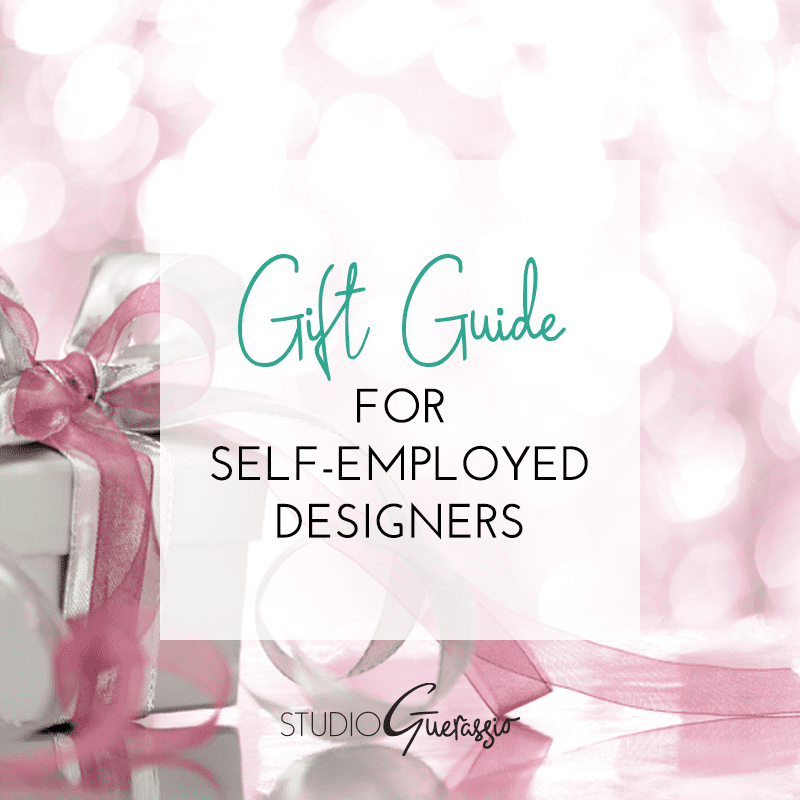 Is there a self-employed/freelance designer in your life that you’re struggling to find a gift for? Have no fear, last-minute shopper. As most self-employed peeps will tell you, buying treats or gadgets for themselves tends to fall to the bottom of the to-do list, right next to updating their own website. So I’ve put together a list of things that your designer friend would be thrilled to find under the tree this year (I have a few of these, but would be thrilled by the rest, too!). Sharkk ergonomic mouse. $16.99. I just got one of these and already love it. More importantly, my wrist loves it. USB hub. $13.99. So many things to plug in, not enough ports. This sleek aluminum hub fixes that. Inkling digital sketch pen. $68.95. Sketch on regular paper, get a digitized version. I would LOVE one of these. Pantone mug. $17.99, your choice of color. Self-employed designers are guaranteed to love 2 things: hot caffeinated beverages, and color. Get the best of both worlds here. Page turner lamp. $19.99. Turn the page for a new illustration every day! Just a fun concept. 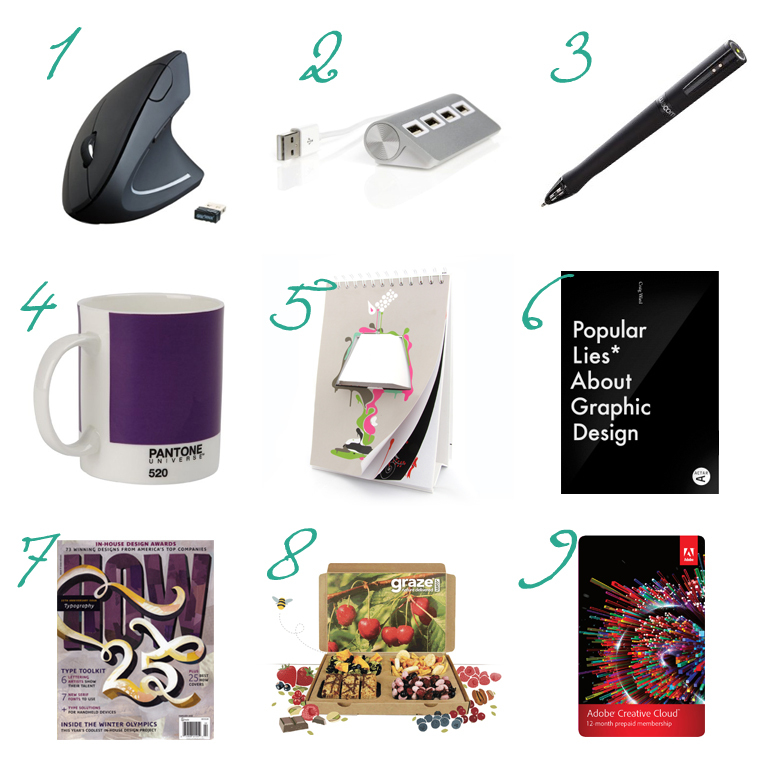 Popular Lies About Graphic Design. $13.51. Beautifully designed and looks like an interesting read to boot. HOW Magazine gift subscription. $29.96 for one year. The go-to magazine for business, tech, and creative inspiration for designers. Their issues are always fun to page through. Graze box subscription. Starting at $19.47 for 3 boxes. People who are self-employed and work form home tend to be grazers. Help them keep nutrition and portions in check with this snack box service. I use this and love it. Adobe Creative Cloud subscription. $599 If you’re rocking Christmas Daddy Warbucks style, this year-long subscription to the full line of Adobe products would make any designer’s day. Chime in, fellow independent designers! What do you hope to find under the tree this year?